I’ve kept you waiting again, I apologise. But, like a fine wine, the Loan Report only gets better the longer you leave it. Marko Grujic and Connor Randall continue their recoveries from injuries and therefore were not fit for selection. Shamal George was again an unused sub for Tranmere, he must have his own personal spot on the bench by now. Anderson Arroyo was not selected for Gents match day squad, although it turned out to be a blessing in disguise, and Ben Woodburn now can’t even make the bench for Sheffield United. A loan move that once looked so promising is now turning into a bit of a disaster. Back to Gent and the fortunes of Taiwo Awoniyi who did make the match day squad. He started up top as they took on league leaders Genk. It was a performance to forget as the hosts lost 5-1, Awoniyi being subbed after 55 minutes. Things are not quite clicking for the young man yet this season. After staring for Rangers in their midweek Europa League victory, Ryan Kent continued his good form with a Man of the Match display as Steven Gerrard’s side took on the leaders of the SPL, Hearts. Rangers took an early lead and dominated throughout eventually winning the match 3-1. Kent capped his performance with a goal finishing off a well-worked free kick routine. Ovie Ejaria also featured in both Rangers’ victories, dominating the midfield. He played the full 90 minutes in the Europa League game, but was subbed after 70 at the weekend. 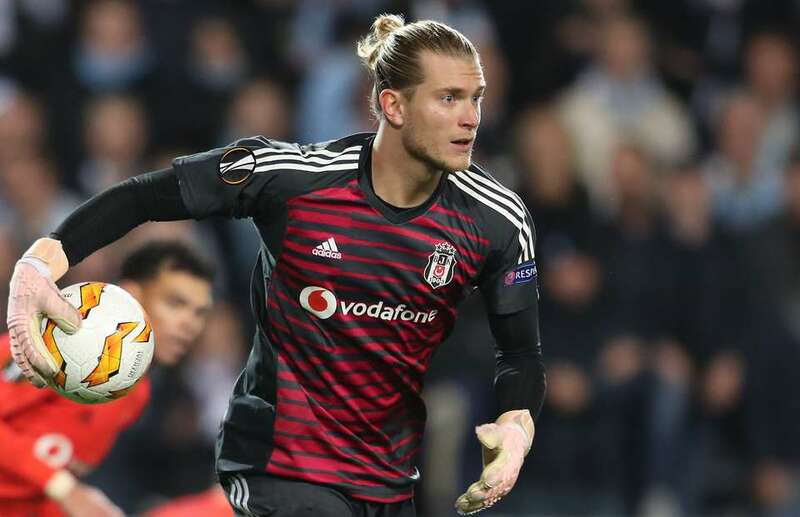 Loris Karius had a week to forget as he made another high profile error on the European stage. A cross from the right that should have been a routine catch slipped through his fingers and into the back of the net. Besiktas went on to lose the game 2-0. At the weekend he was better but it was anxious display as they drew 2-2 with Konyaspor. Allan made his second start for Eintracht at the weekend but it was not as memorable as his first. Struggling to make an impact on the game and on a booking, he was substituted at half time in a tactically switch. Eintracht went on to beat Hoffenheim 2-1. Sheyi Ojo currently finds himself in the role of impact sub and that continued this weekend. He came on late in the game as Reims drew 0-0 with Nimes on Sunday. Danny Ings didn’t have the greatest game as Southampton lost 3-0 to Chelsea at the weekend. It was a lively performance from the Liverpool loanee but he should have had a brace, missing two easy chances throughout the 90 minutes. The first came at 0-0, somehow spooning the ball over the bar from four yards! Ings is nothing if not resilient and I am sure he will be back to his best in no time. Harry Wilson came off the bench as Derby drew 1-1 with QPR on Saturday. Adam Bogdan continues to impress in Scotland as he kept his fourth successive clean sheet for Hibs as they beat Hamilton 6-0 on Sunday, albeit he had very little to do. Doncaster Rovers lost 4-0 to Fleetwood at the weekend despite the best efforts of Herbie Kane, but he picked up the Doncaster fans Man of the Match award for his efforts. Finally, Corey Whelan played the full 90 minutes as Crewe lost 1-0 to League leaders Lincoln City.